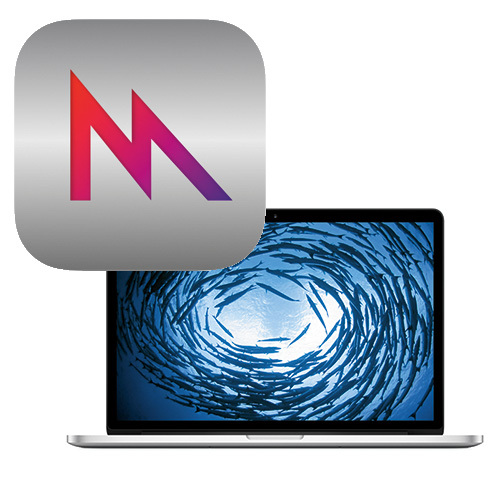 Which Macs Support OS X El Capitan's Metal? When OS X El Capitan ships this fall we should see some big improvements in performance on our Macs thans to Metal, which is Apple's system for vastly improving how our computers handle graphics. There isn't any official word yet on which Macs will support Metal, but we do have some idea of what to expect thanks to the efforts of developers who have been digging through the El Capitan beta. You can see which graphics card is in your Mac by clicking the Apple menu and choosing About This Mac. Look for the Graphics entry under the Overview tab. 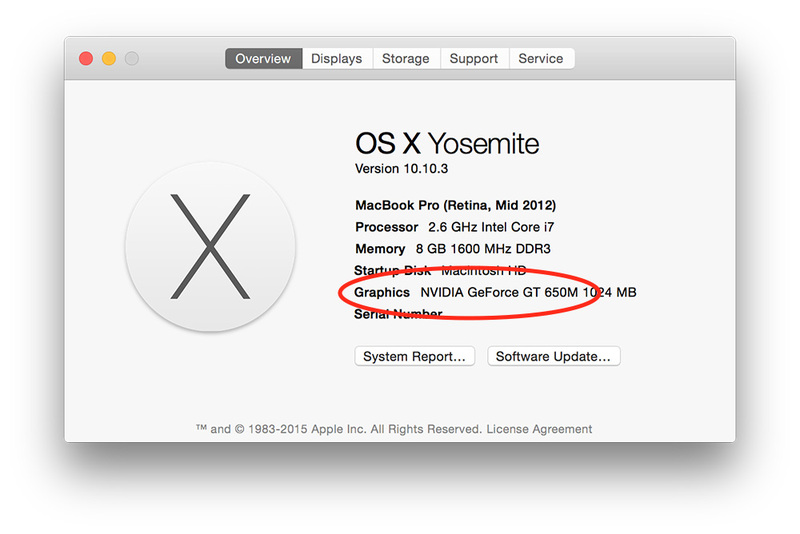 My 2012 Retina MacBook Pro shipped with Nvidia's GeForce GT 650M, which sure doesn't look like a GTX-level card to me. That doesn't mean my three year old Mac laptop definitely won't be able to take advantage of Metal, but based on the limited information available today it doesn't look promising. In comparison, the current top 15-inch Retina MacBook Pro ships with either Intel's Iris Graphics 6100 or Intel Iris Pro Graphics and AMD's Radeon R9 M370X. The MacBook Air ships with Intel HD Graphics 6000, and the MacBook includes Intel HD Graphics 5300. Presumably all of these models will support Metal. OS X El Capitan was unveiled during Apple's 2015 Worldwide Developer Conference keynote presentation at the beginning of this week. It's available as a developer-only beta now, and as a public beta in July. The official shipping version will be a free upgrade some time this fall.